I did enjoy my tomato plants a lot last season and have started tomatoes again. I tried a tomato plant starter kit last season since it was my first time growing tomatoes (growing anything). This year i decided to grow tomatoes again and start them from seeds myself without having to buy a starter kit. This is one of the tomato plants right now. I started it in my chilli and pepper tray right after i had moved some chillis to separate pots. Good start! That Tomato Plant Starter Kit from last year really got you hooked to growing Tomatoes. Thank you for deciding to share your second Tomato year with us! I really enjoyed following your topic last season and will follow again! I have not been to good at sharing pictures of my tomatoes this year but this is how they look now. They will recover. :) How are they today? They are back on track! My home has plants everywhere! And many chillis already! Tomatoes moved out this weekend! Tomatoes like this spot and grows good even if nights are still quite cold. 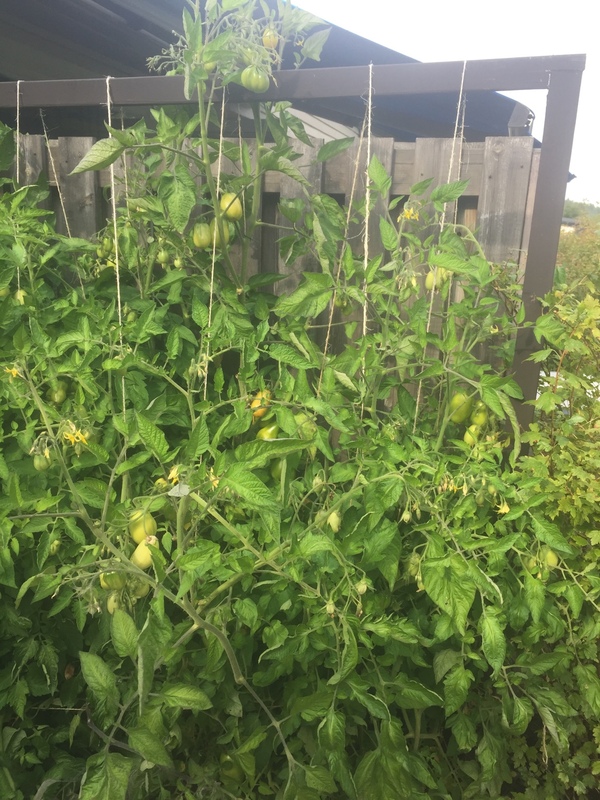 I'm very happy with how my tomatoes are growing but I wonder if i planted them to close? Thank you for this advice. I've started to look into it and it seems like a very good idea. Maybe to have a few tomato plants hanging (I do have space for that). I think that I also need to improve my pruning skills. Hardly did not prune my tomatoes at all last year..